Managing a pest control company isn’t like running a brick-and-mortar store. Instead of having your customers come to you, you need to go out and meet them. To turn a decent profit, you must find a way to cut down on the cost of gas. You’ll also need to make sure your field staff is actually doing what you’re paying them to do. You can do this through utilizing a route optimization software. Do you still plan your routes manually? If so, you should stop immediately. Route planning is complicated. 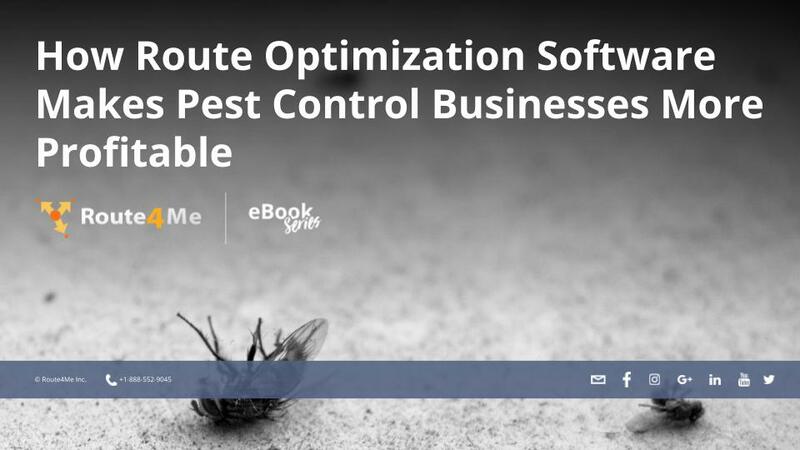 In addition to figuring out which roads your pest control teams must take to reach your customers, you also need to account for traffic, weather, construction, customer availability, and other factors. That can take hours. Also, there’s no guarantee that the routes you come with are efficient or even accurate. When you have route optimization software, planning routes only takes 30 seconds. All you need to do is plug in the addresses of your customers, and then you’re good to go. Route planning software allows you to provide your drivers with more efficient routes. Gas is one of your biggest expenses, right? Well, when you have more efficient routes, your drivers won’t need to use as much gas to complete their routes. You’ll be able to reduce your fuel expenses significantly. Are your pest control teams following the routes and schedules you give them? Or are they taking breaks and goofing off while they’re on the clock? You can’t see them, so how do you know? That’s why the route planner you invest in absolutely must have a GPS tracking feature. GPS tracking shows you where your drivers are and how fast they’re going in real-time. Whenever you want, you can check in on a team and confirm that they’re sticking to your schedule.